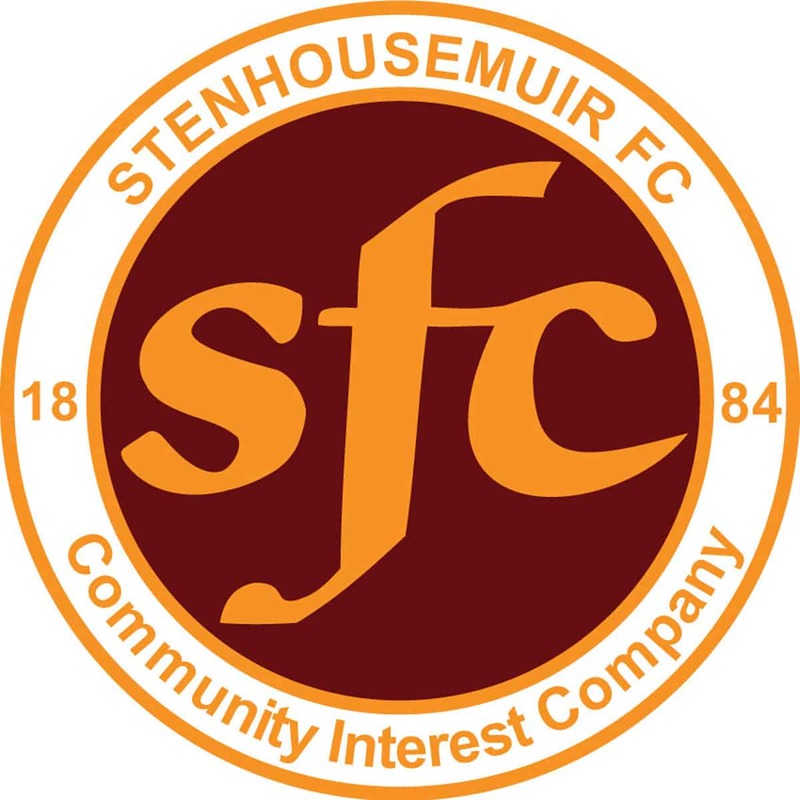 With points vital to keep Stenhousemuir in the play-offs at least a share of the spoils was needed against the league leaders at Cowdenbeath. To this end they set out to nullify the Cowden attack by packing the midfield or defence as and when required. This meant that despite having four forwards in the team due to midfield injuries Kenny Deuchar was required at times to plough a loan furrow up front. In the main this was effective as the home side struggled to get any width on the narrow park against a line of five or even six players strung across the park. Cowdenbeath despite dominated the first half possession wise could not get their passing game going on a very fiery pitch and although it hindered Stenhousemuir as well it was more of an problem for the attacking side. Although Ally Brown had been tested within the first minute of the game when he had to save a Mark Ramsay shot neither keeper was called into action again until the 16th minute. This time it was the Cowden keeper who made a comfortable save from a Deuchar header. The Warriors had a valid appeal for a penalty turned down in the 26th minute when Deuchar appeared to be fouled following a clumsy tackle by Thomas O’Brien. A minute later O’Brien was more effective at the other end of the field picking out Lewis Coult but the striker failed to get any power onto the ball and Brown was able to save with ease. The keeper then denied Coult again in the 37th minute saving another header. He was beaten a minute later when Coult made room with quick feet and shot past Brown but to the relief of the Warriors contingent the ball crashed off the woodwork. After the break the Warriors became more expansive in their play and a head flick by Deuchar to Andy Rodgers in the 49th minute set the striker up but he was unable to get the ball out from under his feet and it was scrambled clear. In the 52nd minute the Warriors had another appeal for a penalty turned down. This time it a more vociferous appeal after Derek Lyle had handled a Willie Lyle cross into the danger area. Iain Thomson took his protests too far and was cautioned. This was Stenhousemuir’s best spell of the game and Rodgers came close with a delicate chip that went just over the bar. The home side began to step up the pressure in the latter stages of the game and with captain Willie Lyle leaving the field with what looked like a hamstring strain they began to exploit the fact that the Warriors defence was re-organising. Kevin McKinlay did well to block a powerful Coult shot in the 84th minute. This was followed by a volley from player manager Colin Cameron in the 86th minute that Brown was in the right position to save. The keeper then came to Stenhousemuir’s rescue again to tip a Ramsay effort over. It looked as if it would be just a matter of time before Cowdenbeath would score and they came even closer when a John Armstrong header was tipped onto the bar and over with two minutes left. Jon Robertson then saw a header go just over before Marc McKenzie skipped past several defenders before firing a shot goalwards that Brown had to stop one handed to prevent from going in. After coping fairly comfortably for most of the match they had to fulfil a backs to the wall last ten minutes to secure a point. At times it was not pretty but they dug in and fought the cause when they could have wilted under the pressure although it was difficult to watch as the game seemed as if it would go on forever so there was relief when the referee finally brought proceedings to a halt with Stenhousemuir picking up what could be a valuable point at the end of the season. Cowdenbeath – Flynn, Linton, Adamson, Cameron, Armstrong, O’Brien, McKenzie, Robertson, Ramsay, Coult and Lyle [Cusack 64].